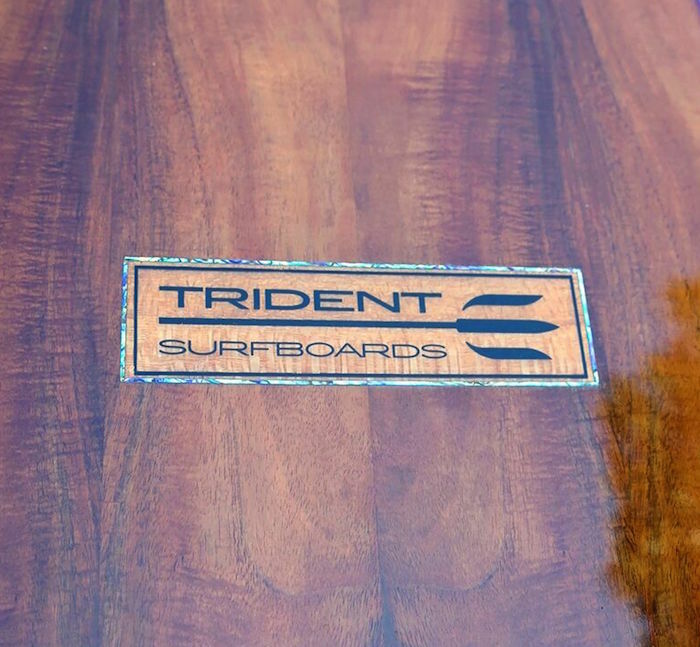 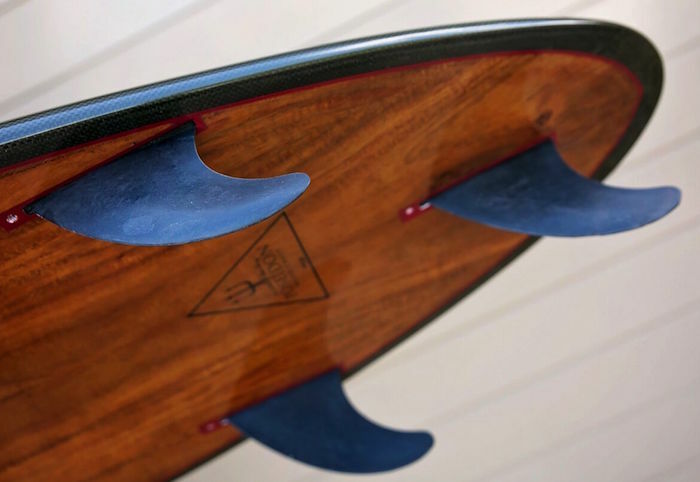 7’3 Trident Surfboards Poseidon thruster made with wood veneer and carbon fiber in the early 2000’s. 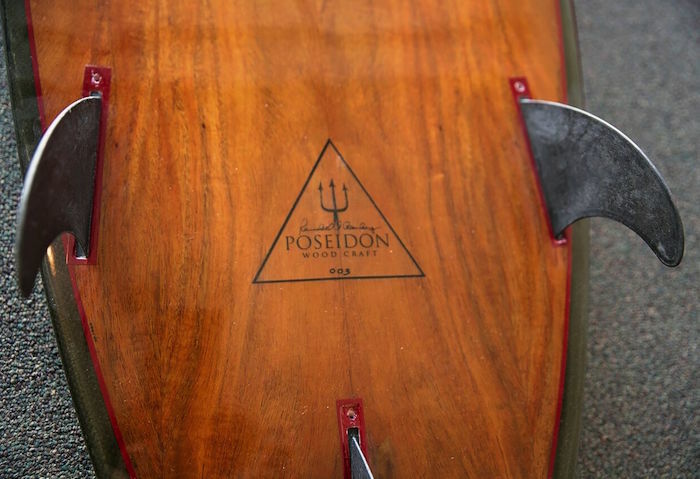 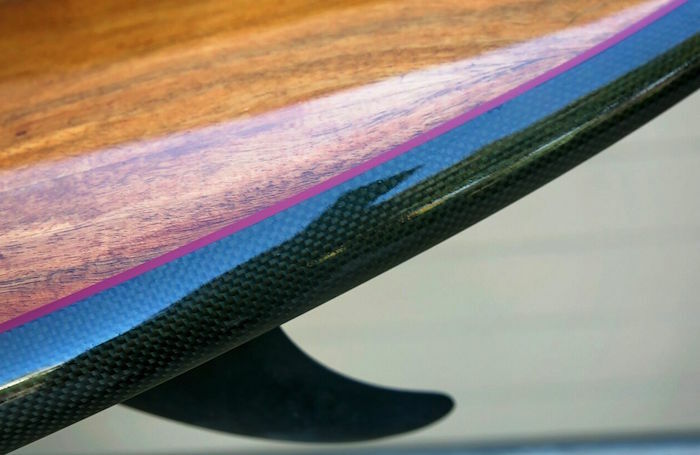 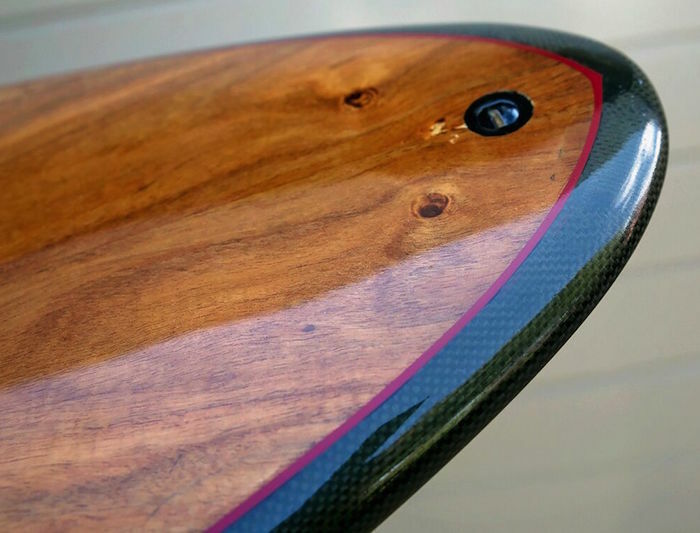 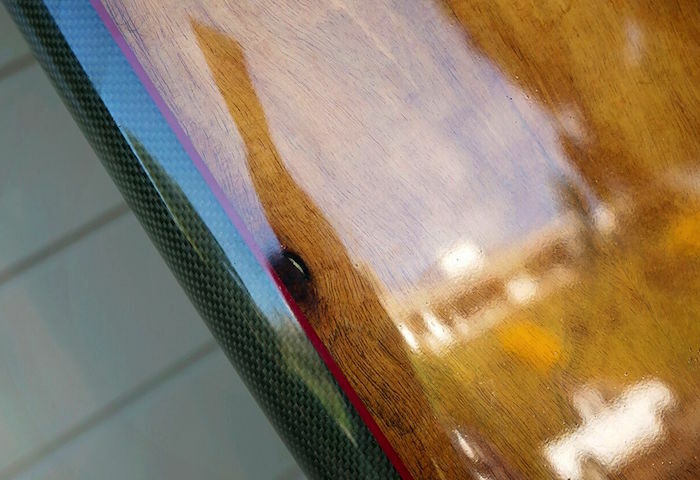 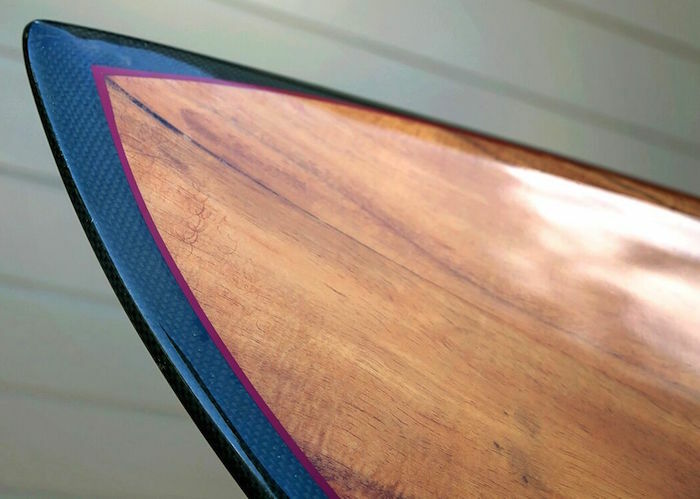 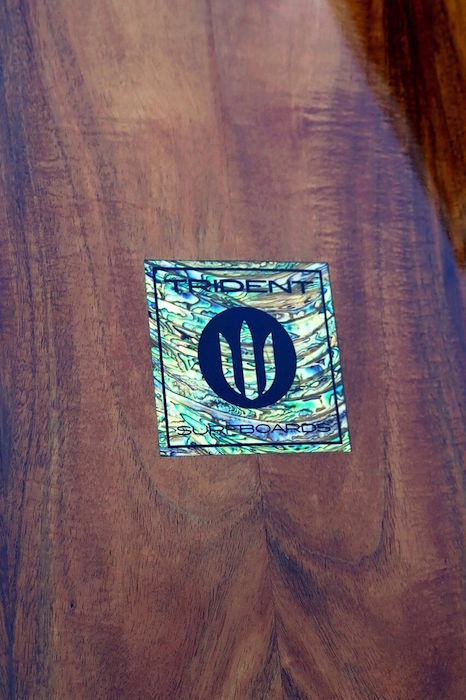 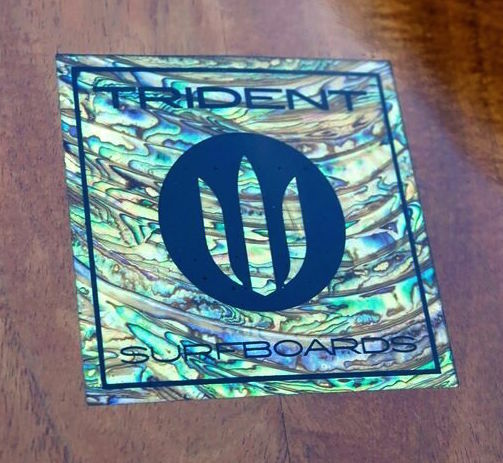 This unique and beautifully crafted surfboard is serial #003 featuring carbon fiber rails, beautiful wood veneer, and finished off with two stunning abalone Trident logos. 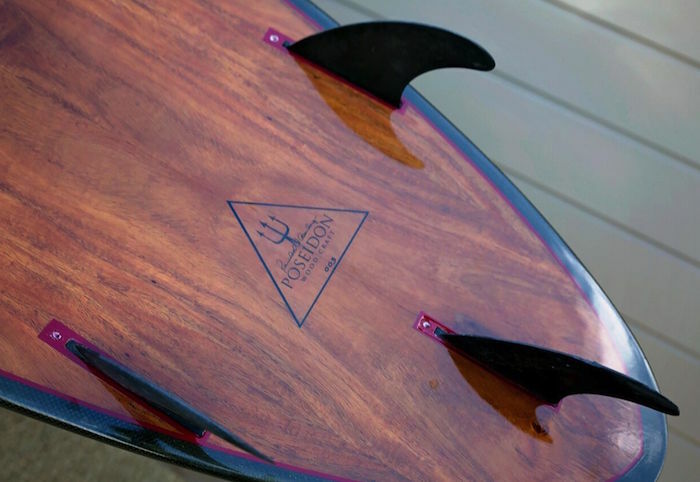 Currently being offered by it’s original owner.